What are the Reasons for a Rough Idle in a Car? There are a plethora of reasons why your car is experiencing a rough idle, and they all require a bit of further investigatory work by a professional who specializes in the specific type of vehicle you drive. 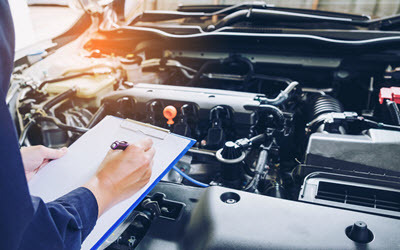 It can be difficult to isolate the source of a rough idle if that’s the only symptom you notice; therefore, paying close attention to the other possible symptoms your car is exhibiting can be greatly helpful to your trusted automotive specialist for a more accurate diagnosis and cheaper labor cost. The reasons for rough idling can be numerous, but some are more serious than others, and some issues may be brand-specific. That’s why it’s important not to wait to address the problem when you begin noticing a rough idle – you could be allowing significant damage to take place over time. In this article, we’ll go over some of the most common reasons for rough idling that are usually diagnosed by automotive professionals around the world. Your car idles at a set speed, which can be adjusted rather simply by an automotive professional. The idle speed is a relatively simple concept: it’s just the speed at which the engine turns when the car is not moving. If the speed is too slow, it’s similar to a heartbeat that’s too slow – engine oil pressure drops and cannot circulate adequately, causing the car to idle roughly. Your fuel pump is an essential component of the fuel system that literally pumps fuel to your engine. If the fuel pump isn’t working properly, your engine cannot receive the adequate amount of fuel. When this is the source of rough idling, you may also notice other engine function issues, such as stalling or diminished engine power. A loose or dysfunctional distributor cap poses a serious problem for your car; the engine begins turning much faster than usual, which can cause your car to vibrate during idling and can create unstable engine conditions leading to stalling or misfiring. Spark plug wear occurs at different rates depending on several factors, including typical driving habits and conditions, the age and mileage of the vehicle, and the condition of wiring and other affiliated components. Worn spark plugs make it very difficult for your engine to utilize fuel effectively, therefore leading to rough idling. Maintaining the various components of the fuel system in your car is essential for many reasons; although a dirty fuel filter is one of the most common issues seen in fuel system that leads to rough idling. This is due to the inability for fuel to adequately pass through the fuel system because of impediments and debris clogging the filter. You’ll likely need to replace the filter and have the rest of the system checked out to make sure no debris or particles have contaminated the fuel, making their way into your engine. Another common issue with the fuel system are clogged injectors. The injectors are designed to spray a fine and localized mist of fuel into the engine for ignition and combustion. When the fuel cannot make it through the fuel injector nozzle due to clogs, the engine cannot perform even while idling. It’s essential to have your fuel injectors inspected routinely as per your vehicle’s designated maintenance schedule. ongoing maintenance is the best way to avoid rough idling and other performance deficits. Here at Tech Plus Automotive, located in beautiful Scottsdale, AZ, we always make it our priority to prevent automotive issues in our clients’ vehicles; our honesty and integrity are two qualities that set us apart from nearby auto shops and dealerships, and it’s the reason why our clients have been coming to us for decades. If you’ve begun to notice that your European import vehicle is idling roughly, then it’s essential to have it checked out by a professional immediately – waiting any longer could lead to even more serious performance problems. To learn more about our shop or to schedule an appointment, please call one of our helpful professionals right away.